Daz Bones is 75M? I assume that's what it is today rather than back then. That would an extremely disappointing post-skip bounty for the man. I think it sort of fits just fine actually, he's not someone to be underestimated at all. He was Zoro's most brutal fight in the entire series, with a devil fruit that could allow him to coast the majority of paradise without being harmed, and was all in all a far more impressive and deadly fighter than someone like Bellamy who had amassed 55 million. On top of that he had a notorious career as a professional killer so when you add that sort of violence to the mix I don't think the bounty feels so out of place. Last edited by Great Potato; 01-04-2019 at 03:37 PM. He was actuallly the most notorious bounty hunter in all of West Blue, while Zoro held that reputation in East Blue. I think his epithet "the Killer" comes from the fact that he brought em in rather dead than alive. Either way, Daz was and still is a complete badass, not to be underestimated. Zoro's hardest fight in Paradise and Crocodile's right hand man. Based on the bounties of that patch. It was preskipped, after he broke out of Impel down. By that point, Zoro already has 120 mil. Obviously Aladine has a bounty (which is unknown right now) But Koala also has a bounty (which is also unknown). Babe(Mr.4): 3.2 million. “Babe who kills the catchers” 30 yrs old 218cm. Zala(Miss double finger): 35 million “Poison Spider Zala”. 28 yrs old 187cm. Daz Bones(Mr.1): 75 million. “The Killer” 31 yrs ol 212cm. “Black Cage”Hina’s card mentions how she saved Smoker from getting fired for several times. 34 yrs old Height: 181cm. Fisher Tiger: 520 cm. Passed away when he’s 48. Same blood type as Sanji, S RH-. The following are lengths instead of heights. She possess Observation Haki just like her mother. Their entire family and the ministers like seafood, but since they’re mermen, they eat seaweeds,clams and sea beast milk instead of meat or fish. On Robin’s concept art, there’s a technique “Cara/face Fleur”, her face appeared on Chopper’s hat. She also dislike bubblegums because you can’t swallow it. She’s 28 yrs old and 188cm. Koala and Aladdin’s bounties were not revealed. Koala: Her concept art includes a design of when she’s 26. Her fishermen karate was taught by Hack. She joins the RA 9yrs ago, when she’s 14. She’s currently 23 yrs old, 160cm. The snakes that pulls the ship of the Kuja pirates are female. *When comparing her height with Luffy, it state that the height is 152cm instead of 145cm, not sure which one’s correct. Last edited by Listen, buddy; 01-04-2019 at 06:30 PM. All info from the latest databook. Look like we are getting Blackbeard crew and Mock town characters in the next patch. I still don't know why they haven't released Dorry and Broggy. Probably will be in the starter set 2 pack. I can read. But no, we are getting Mock town villains. We already know what cards are being release if you want to bet on it. Here are the cards that being confirmed. Hody Jones, Hyouzou, Daruma, Dosun, Ikaros Much, Zeo, Hammond, Vander Decken, Pekoms, Tamago, Caribou, Coribou, Gyro (I will throw in Wadatsumi). Still missing 2 cards or more. Last edited by Listen, buddy; 01-18-2019 at 11:39 AM. Still missing 3 cards or more. Powerful enemies in Sky Island. - Marshall D. Teach "Kurohige". Powerful enemies in Gyojin Island. Also it looks like we are getting only one new crew member for the BBs. Last edited by Perun; 02-02-2019 at 09:05 AM. Laffitte is also stated to be the staff officer of Blackbeard. Van Augur is the calm one of the original five, and he holds back his rampaging crew. Adding on to that he’s also an aggressive person who will kill the enemy faster than anyone as soon as the battle begins. His gun Senriku enables him to shoot a target from a surprisingly long distance. It again mentioned the possible connection between Blackbeard having two devil fruits and his “abnormal” body. Also that when he’s hiding under Whitebeard’s name, he uses a claw-shaped weapon, and already possess the strength to be able to hurt Shanks. Doc Q measures human’s value by their luck.His sick body is like that since his birth. Last edited by Perun; 02-02-2019 at 04:19 PM. Cabin boy Shanks or adult Shanks? I think adult Shanks.I remember in Ace novel the WB pirates were making a big deal that someone manage to hurt Shanks.I doubt that they would care if a cabin boy got hurt. In a bar, Ace asks Thatch who injured Shanks in Whitebeard Pirates, but Thatch doesn't know someone in WB Pirates injured Shanks. "Is The person not even a commander..? If a commander had injured him, it would have become big news.. Do you know something about it, Teach?" Thatch and Ace are surprised to hear that, but Teach soon adds, "Just kidding." Last edited by Perun; 02-02-2019 at 05:31 PM. Quite some hype for Teach but I feel it doesn't quite add up to what's been shown so far. G4 Luffy could do nothing to a Yonko and now Base Teach has the strength to injure one? Sounds weird to me. 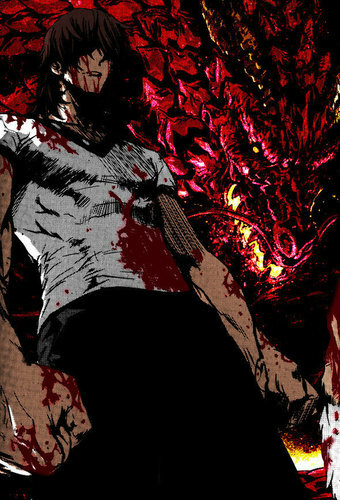 Not to mention Yami Teach got wrecked by WB's walking corpse. Yami Teach takes more damage from attacks due to the nature of his abilities. This isn't new hype for Teach. The vivre card is just indicating what we were already told in the manga. Teach injured Shanks. Oda decided on that back when he was planning on Yami Teach being admiral level. Last edited by barreltheif; 02-02-2019 at 06:50 PM. You guys are way behind. We've known about Teach injuring Shanks for like 13 years.